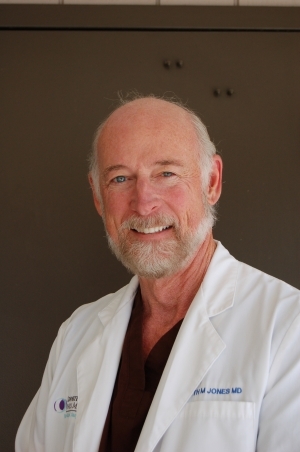 Dr. Kenneth Jones was born in Michigan and raised in Illinois. He received his undergraduate degree from Bradley University and his doctorate in medicine from Loyola University's Stritch School of Medicine in Chicago, Illinois. He was an intern and resident in General Surgery at Maricopa County Medical Center in Phoenix followed by a three-year residency in Plastic Surgery at Loyola University Medical Center in Chicago. He completed a fellowship in Pediatric and Craniofacial Surgery at Northwestern University’s Chicago Children’s Hospital. He is certified by the American Board of Plastic Surgery. He has published articles in plastic surgery journals on breast surgery and facial trauma. Dr. Jones has a passion for the difference he can make in people’s lives and the positive transformations he can help provide. Dr. Jones has been practicing in the Wenatchee Valley since 1991 and has been in solo private practice at his current location since 2004. He is married to Lori and they have three children.